My name is Steph and I'm the proud owner and maker behind Me and Leigh Creations. 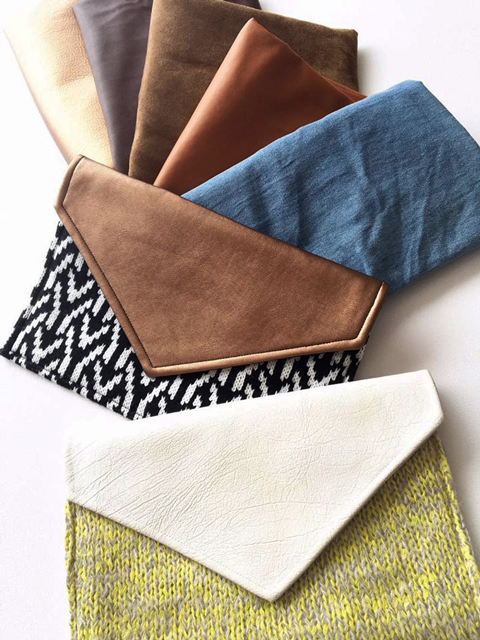 I make bespoke accessories for ladies and the home, including clutches, purses and more. I believe every woman should embrace her own unique style and should enjoy a little handmade love with everyday items! When I'm not sewing beautiful accessories, I'm managing a patchwork shop. 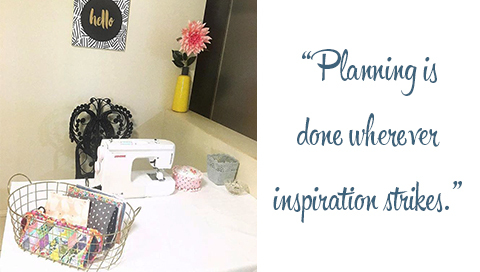 Yes, I'm surrounded by beautiful fabric and other sewing enthusiasts, but the management side keeps me busy behind the scenes rather than in front of a sewing machine. So night time is my creative time and outlet where my imagination comes to life. Me and Leigh Creations isn't just a hobby, it's my passion and something I look forward to everyday. I've been sewing and crafting with my Mum for as long as I can remember (even when it wasn't cool! ), so I guess it's in my blood! I'm very grateful to have a supportive partner in Pete and four fur-babies who understand that sewing is part of who I am. 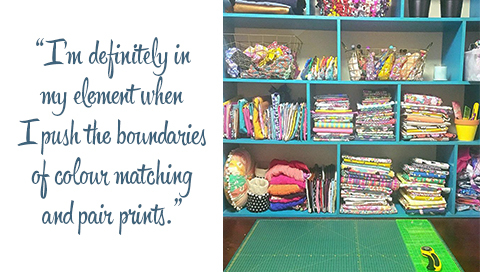 It's a creative journey that I'm on and sometimes that journey may spread from my sewing room - to the kitchen - and then onto the lounge! I'm a very organized person (think lists for my lists) and my creative spaces are a reflection of that. I like to be able to put my hand on something when I need it. Attention to detail is super important to me, so by being organized I feel I can spend the time to ensure each and every item is constructed to the highest standard. Planning is done wherever inspiration strikes. I have a notepad that goes everywhere with me, full of bits of paper, magazine cut outs and sketches. I like to nut out all the details of a creation before I begin (including design, measurements, fabrics) to ensure every item is fun, but also practical. I have a room in our home where I store and cut out all my materials. I don't like being tucked away in there for too long, so when it's time to sew I move to the dining room where I have a little nook set up as my sewing area. I'm right in the centre of our home, so it means I can do what I love around those I love. 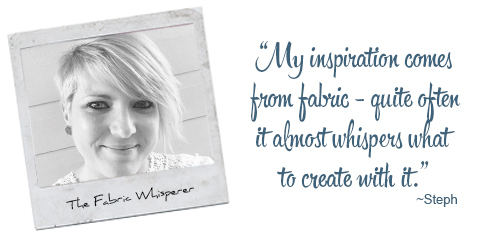 My inspiration comes from fabric. Quite often the fabric almost whispers what to create with it. 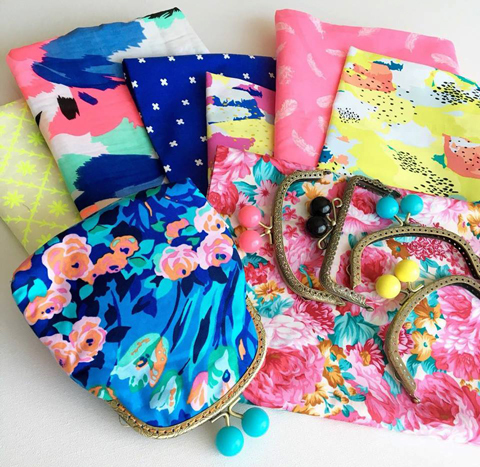 I love bright, fun, quirky, pretty, timeless, retro prints. I'm proud of my style and confidence in being able to put colours and a mix of textile mediums (like cotton, leather, linen, denim, knit, woollen) together to create unique products. I'm definitely in my element when I push the boundaries of colour matching and pair prints that aren't a 'typical' choice. 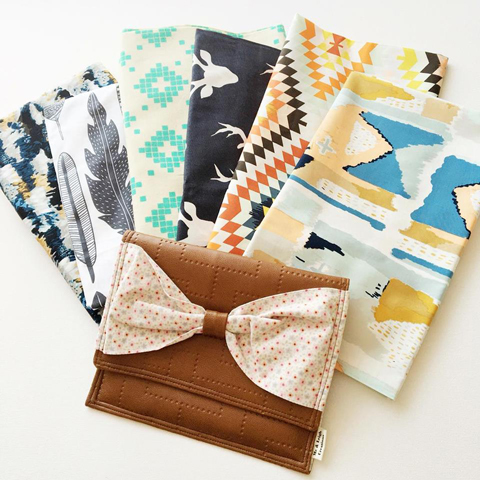 The name Me and Leigh Creations came about when a friend (Leigh) and I joined forces through a mutual love of sewing to create and sell goodies at our local markets. After a few years, Leigh needed to slow down and focus on her growing family. However, I wasn't ready to end my creative journey with Me and Leigh Creations, I was only getting started! So, for the last three years (and hopefully many more to come) I'm the solo face behind the business. What do I love about Handmade? Exactly that - it is made by hand. 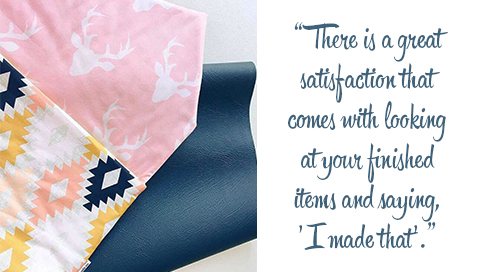 There is a great satisfaction that comes with looking at your finished items and saying, 'I made that'. The fact that I get to do that everyday, as well as share my love for it with others, means I'm extremely blessed. The BEST thing about what I do is the feedback from customers telling me that they love their Me and Leigh Creation and that it brings happiness to their day. 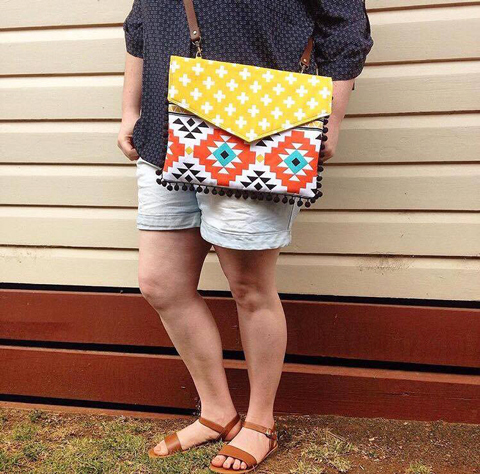 I love that Made It is Australian based - there is so much handmade talent in this country! The community feel and support from the fellow sellers and the Made It team makes it so enjoyable. I'm very grateful that Made It has allowed me to continue my dream of spreading the handmade love, one 'Me and Leigh' creation at a time.